We were going to watch BBC Narnia today, but you know there’s never any rest. Our air purifier arrived ten days early, in a gigantic box, and we’ve just finished setting it up, after 2:30 p.m. It’s getting kind of crowded here, what with the Christmas tree and now this device. Okay, it’s plugged in and humming away, supposedly removing allergens from our air. I have high hopes for this. Robbie’s cough, Patty’s trouble breathing, and my allergy attacks which bring on sinus infections–if we can clean the air, all three of us might be doing better. But it is technology, which means I don’t understand it, and won’t be able to fix it if anything goes wrong. So all I can do is give it a few days and see if it makes a difference. I will have to spend more time dusting than I used to: the replacement filters are expensive. Please pray that this winds up working for us! This entry was posted on Friday, December 28th, 2018 at 2:47 pm	and tagged with a personal note, air purifier, my family, prayer requests and posted in Uncategorized. You can follow any responses to this entry through the RSS 2.0 feed. I do pray that this purifier will work for all of you. I believe it will certainly help. All those who have them love them. In a previous home, we had one connected to the furnace/ac and it worked wonders. Why did I read your message as Phoebe’s? I must be working too hard. Definitely keep us posted on how the purifier is working for you. Is it silent? No, but the sound is very soft and rather soothing. Once we take down the Christmas tree, we’ll have more room. But I only just put it up, so we want it here for a while. I wonder if the Christmas tree might be a source of the breathing problems. No, the go back before the Christmas tree–way back. 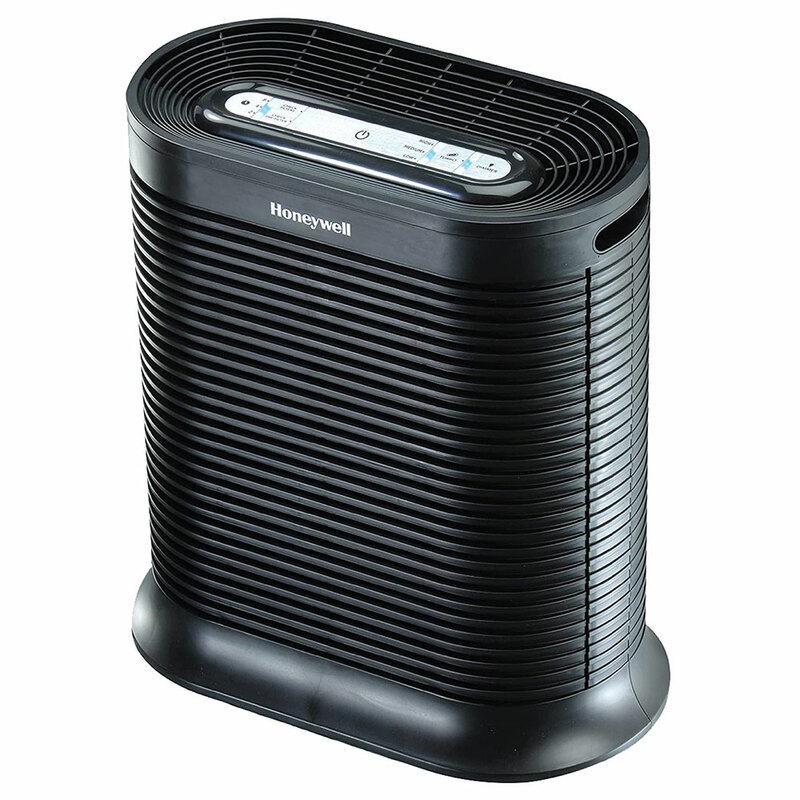 I understand Honeywell is one of best purifiers. But I thought it would indeed be “quiet.” However, I don’t know why I thought so because everything “quiet” that I bought – refridgerator, air conditions, etc – always made too much noise. Anyway, will pray this unit works to relieve your distress and frankly, I know it will most certainly help. PS: I wonder if there was a model with ‘washable’ or ‘cleanable’ filters. In any event, dusting more often should offset the expense. PPS: Check out some youtubes because I remember watching a video explaining what other cheaper materials can be used to filter appliances. Looks like a good unit. I feel confidant it will do you all good. Another example of God meeting our needs according to His riches in glory in Christ.